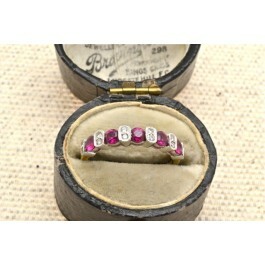 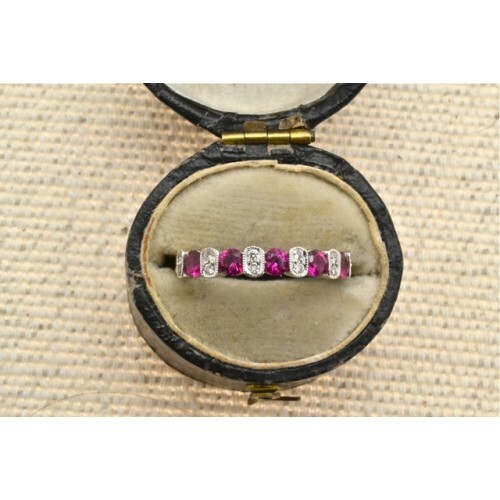 Ruby and diamond half eternity ring. 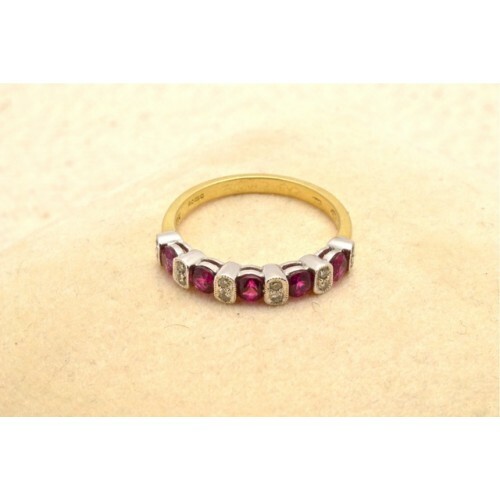 18ct gold set half eternity ring, having a white gold collet set with six pairs of round cut diamonds in a millgrain rub-over set between each section is a round cut ruby, five in total. 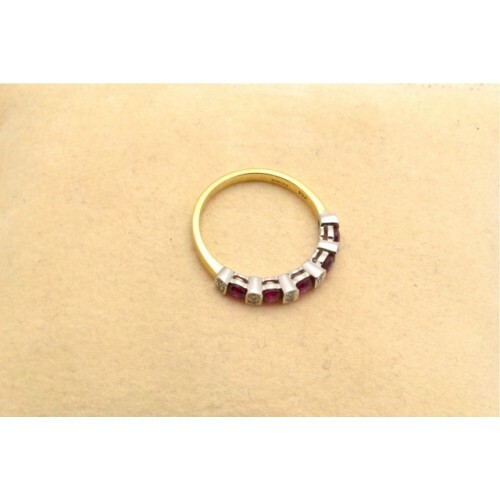 Yellow gold shank.